The United States incarcerates more of its own citizens than any other country in the world. We are the only Western democracy to retain the death penalty. The racism endemic to our criminal justice system has led Michelle Alexander to call it “The New Jim Crow.” And even from a purely economic standpoint, mass incarceration has become a burden that many states are finding difficult to bear. The time has come to rethink prisons and the multiple systems of power that intersect behind bars. This conference brings together over 100 scholars, activists, and practitioners from across the US, as well as Canada and Brazil, to discuss issues raised by prisons and the death penalty. Some of the presenters have spent time behind bars; others are currently incarcerated, and will be represented by friends, family, and colleagues on the outside (see, in particular, presentations by Talib Shakir and Adam Clausen, live from a federal prison in Pennsylvania, as well as the presentations of SALT (a think tank based in Unit 6 of Nashville’s Riverbend Maximum Security Institution), and REACH Coalition (a coalition of prisoners on death row at Riverbend and members of the community, who meet weekly to discuss philosophy, art, and politics)). The format for the conference is discussion-based workshops. To facilitate discussion, we ask that speakers limit their formal presentation to 10-15 minutes. We invite you to speak extemporaneously about the issues, methods, strategies, and motivations that shape your work, and to explain these in a way that is accessible to others beyond your field and/or home institution. And we invite audience members to share their experience, questions, and suggestions for how we can work together to transform the current criminal justice system into something that is worthy of its name. The conference is free and open to the public. All conference proceedings will take place in Buttrick Hall at Vanderbilt University. Follow these links to a Vanderbilt campus map and driving directions. Please note that all keynote sessions have been moved from Buttrick 101 to Furman 114 to accommodate larger audiences. Registration: Rethinking Prisons 2013 Registration. If the PDF link is giving you trouble, try our Web Registration. 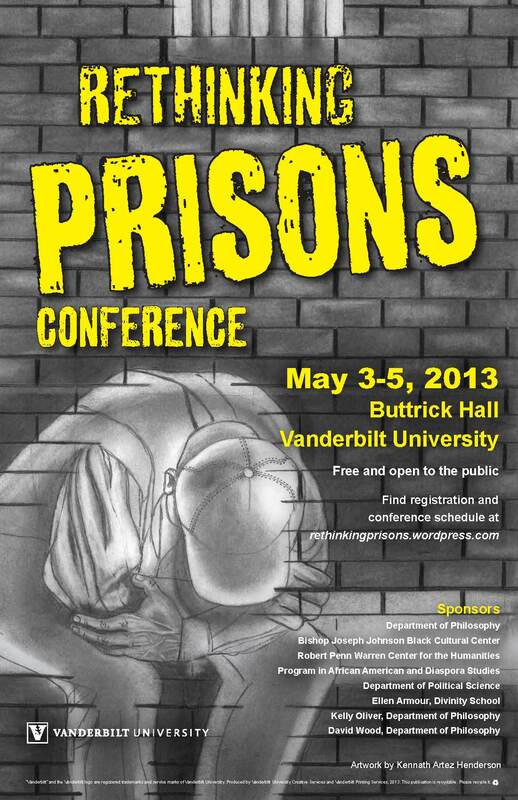 If you’re still having trouble, please register by contacting us rethinkprisons2013 [at] gmail [dot] com. Please include your name, e-mail address, and whether you will be attending the whole conference (if not, let us know what days you will attend). Buttrick 101 – Note room change! Furman 114 – Note room change! Walking directions to Furman available at registration. REACH is a coalition of prisoners on death row at Riverbend Maximum Security Institution and volunteers from the Nashville community. More information about REACH: http://reachcoalition.wordpress.com/. I have attempted to register but am unsure if it was transmitted. Should I receive a confirmation email afterwards? Unable to open PDF files; these only download in PDF vs. Word. We just added a version of the program in MS Word — please see above! Would love to speak with you about this!